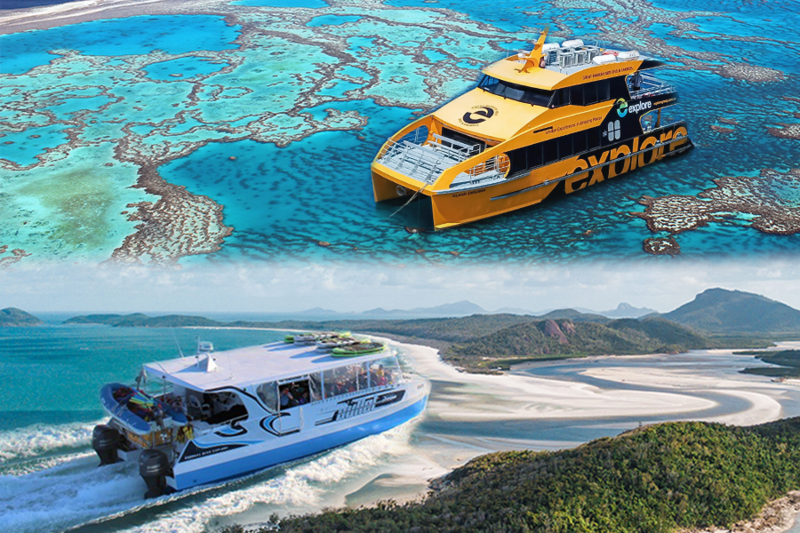 Venture to the most popular destinations in the Whitsundays and outer Great Barrier Reef with the popular Best of the Whitsundays combo. This unique package allows travellers to spend quality time at two world-famous destinations - the Whitsunday Islands (including Whitehaven Beach and Hill Inlet) AND the Great Barrier Reef. Join one of the only day tours that ventures to the Outer Great Barrier Reef for an unforgettable experience. Make your way out past the islands and to the stunning and beautiful reef where you can enjoy all the beauty and adventure it has to offer! Guests can choose to snorkel or scuba dive among the reefs, getting up close and personal with its marine life for a unique experience. The custom designed boat will ensure you have everything you need to enjoy your day on the water, allowing you check off the ultimate bucket-list item - visit the beautiful Great Barrier Reef. Make your way to one of the natural wonders of the world with Explore. This full day tour will give you a glimpse into the amazing and diverse Great Barrier Reef and explore its wonders! Don't miss your chance to see this amazing part of the world.